Malta is one of the world’s smallest country with a dense population, so expats moving to this European state have only a few choices when it comes to the city or neighborhood they want to settle in. Valletta, the country’s capital, is brimming with Baroque-inspired architecture from almost all corners of the city. Malta has a favorable, warm climate that several foreign visitors enjoy. If you think Malta is poor in biodiversity, then you are certainly mistaken. Malta, is, in fact, wealthy in flora, fauna, and marine resources. Furthermore, Malta is a mesmerizing country filled with historical attractions. The country prides itself on top rated attractions that expatriates will surely enjoy. It was cited as one of the most concentrated historic areas in the world by UNESCO's World Heritage website. The country's city capital, Valletta, is a historical gem where you can see the rich St. John's Co-Cathedral and the 300- year-old Manoel Theatre. The city bustles with the best of Maltese life including luxurious restaurants, arts, monuments, traditional balconies, shops, malls, boutiques, museums, flea markets, forts, and bastions. In the city of Valletta alone, you are sure to enjoy all the bountiful sights. The climate in Malta is heavily influenced by the sea and is very typical of other Mediterranean climates, with summers becoming extremely hot sometimes and winters being chillier due to northeasterly winds. 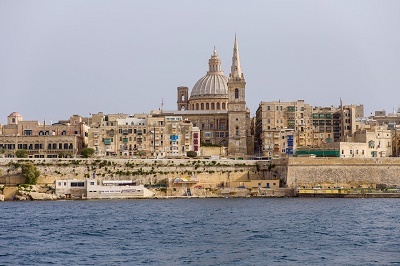 Most of the citizens in Malta follow one religion, Roman Catholicism. It has been their culture to celebrate festas (fiestas in other countries). A festa is considered a feast day for their patron and is celebrated every year. Visiting Malta without experiencing a traditional Maltese festa is similar to going to Paris and not visiting the Eiffel Tower. The festa is a delightful occasion to enjoy a local tradition that has been central to village life for generations. These festive treats in the villages are mostly held between May and September and total 80 throughout the year. During the long and warm summer nights, the Maltese people enjoy a vivacious nightlife, which is quite different to the traditional conservatism and staunch Catholicism of older generations. Clubbing and pub-crawling - especially in the traffic-free zones of Paceville nearby St. Julian's and Bugibba- has been, indeed, ingrained in their culture and is also is a rite of passage for Maltese teenagers, party people, youth, young adults, and crowds of foreign nationals. Several clubs even offer special accommodation for expatriates who want to join the party. Expats should not be intimidated with Maltese being the national language since English is regarded as an official language of business. 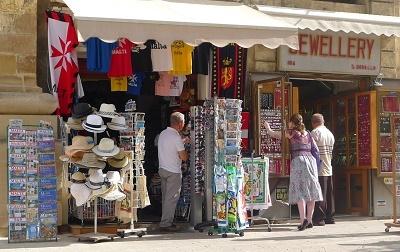 Foreign trade, electronics, tourism, and financial services drive Malta's business climate while its economic strength lies in its vast limestone supplies. Over the years, it has developed into a favorite destination for tourists and especially expats who are contributing significantly to the nation's productive labor force. As a developing country, Malta has limitations, including its lack of a domestic energy source, but apparently not enough to keep people from exploring it, whether as a sights-and-sounds hungry tourist or as a hardworking expatriate seeking to contribute to this small but immensely beautiful nation. How does one start a great journey? Well, with packing of course! Expatriates relocating to Malta know just how much this stage requires one’s ample attention to ensure that he follows customs regulations in the country. So before determining where to find the best overseas shipping deals with removal companies, it is important that you are aware of what you can and cannot ship to Malta. For example, if you plan on bringing a slab of your favorite meat or a carton of your preferred milk, then you better be willing to just find its equivalent in Malta as customs do not allow the importation of meat, meat products, as well as milk and milk products into the country. There are also certain wildlife animals and plants that are protected by the Convention of Washington (CITES). Bringing in these specimens to Malta are also restricted. Individuals can freely bring in some kinds of alcohol and cigarettes, but with certain limits to quantity. For instance, one can only bring in 200 sticks of cigarette or 250 grams of tobacco. Some simple things you have in your carry-on bag may also have restrictions. Like in the case of perfumes, you can only bring in 50 grams, and 250 ml of eau de toilette. Of course, bringing in drugs, explosives, firearms, and ammunition are strictly prohibited. Removals to Malta need not be a headache. Movers to Malta may be able to offer you more information on customs regulations. What you should remember to bring though, are clothes made with light fabric that you can layer on or shed off when needed. Weather in Malta can be quite unpredictable, so layered get-ups are your best bet. If you plan on hitting the sandy shores of Malta, do not forget to bring your swim gear. You may also find the need for plug adapters, as Malta uses a three-pronged system like what they use in Britain. Malta is 316 square kilometre country situated in Southern Europe. It is packed with a colourful culture, unique charm, exquisite architecture, breathtaking landscapes, and most importantly a growing economy. Expats bound to this country are soon to find competitive job opportunities while residing in one of the world's prime vacation spots. Aside from being one of the smallest member of the in the European Union with regards to geographical size, Malta is also one of the most densely populated countries in the world with only an estimated total population of 420,158. Malta has always been a popular tourist destination because of its great climate, miles of picturesque coastline and cityscape adorned by cream-coloured buildings but despite its undeniable fame, expats in this country will still enjoy an affordable cost of living. Malta is a Mediterranean paradise filled with promises and possibilities for foreign nationals. It takes pride in its vibrant communities where people can create unforgettable memories while enjoying a relaxed lifestyle surrounded by a breathtaking environment. Moving to Malta with a family, especially if you have young kids with you is a potentially exciting and fun-filled experience. Malta offers a new and fascinating world for your children's restless spirits. One of Malta's major attractions is its beautiful sandy beaches particularly those in the seaside towns of Sliema and St. Julian's. Here, the children will enjoy building sand castles while the adults engage in water activities such as canoes and pedal boats. More adventurous kids would love to take a ride on the Jeep Safari, which journeys through the inner, forested areas of Malta and Gozo. Other activities that can be included for the nature-lover tots are hands-on farming and fishing trips also in Gozo. Those who are seeking ‘all-in-one' fun venues can visit Popeye Village located in Anchor Bay. This place was once the set of the Robin William's musical Popeye but is now successfully transformed into a kiddie haven complete with animation, puppet shows, a fun park and a play pool. Two other family-oriented venues in Malta are Splash and Fun, a water themed park that features a large wave pool and the Mediterraneo Bio Park where whole family can marvel at reptiles, exotic birds, dolphins and sea lions. Proper handling of one's finances is most important, and your first step would be to choose a bank you want to set up an account with while in Malta. The Central Bank of Malta serves as the core of the country's financial system. Its two primary functions are the formulation and implementation of monetary policies and the promotion of an efficient financial system. There are also some good banks in the country such as the APS Bank Limited, HSBC Bank Malta plc, Fortis Bank Malta Limited and NBG Bank Malta Limited. Once you have made your decision on which bank to do business with, you may go on to taking care of setting up a bank account. Opening accounts are open to all who reside and work in Malta, and even non-residents and foreign companies. Expatriates in Malta would agree that when the excitement of the breathtaking sights and new life wears out, culture shock can set in. This is hugely inevitable, but you can at least soften the blow by knowing a bit about Maltese culture. The country's culture is an interesting mix of different influences from neighbouring nations and Malta's former rulers. The combination of Phoenician, Roman and Arab traditions made their mark on Malta's culture. 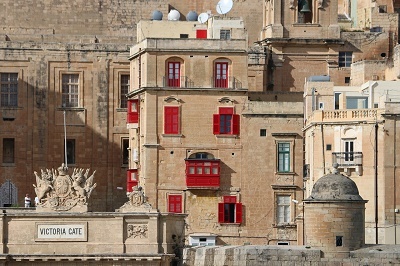 Nevertheless, the Maltese also retains a significant part of their original customs. Living in Malta means adapting to a culture grounded in the Roman Catholic faith. One facet of this religion, you would enjoy are the feasts or as they call it in Malta, festas. These feasts are usually held in celebration of saints or significant Catholic events and are, more often than not, colourful and lively. The Maltese are also a warm and friendly people. However, do not be surprised if you find that they have a tendency to be temperamental and loud at times. And yes, they do tend to get like this especially when it comes to the country's favourite sport, football.